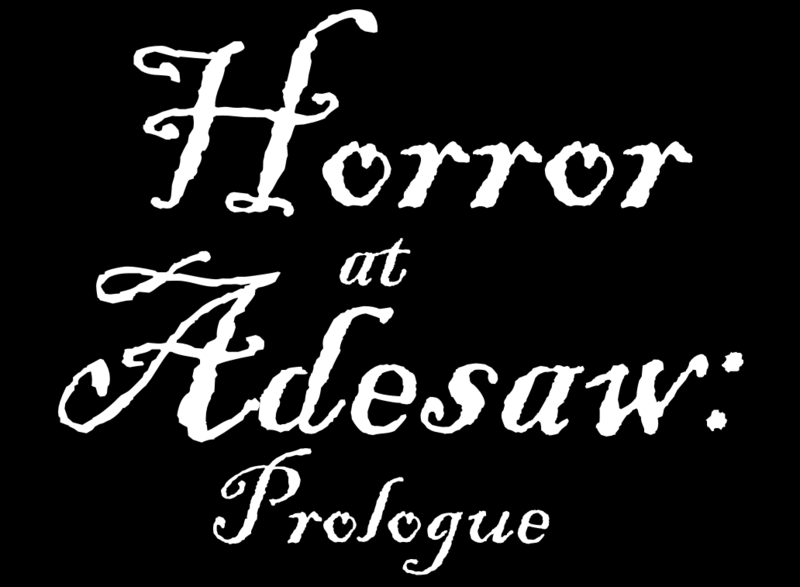 Horror at Adesaw: Prologue is the first game in an upcoming multi-chapter interactive fiction novel. In many ways, it is meant as a test run for the main series, both in narrative and gameplay. It is also the first game ever released by Doc Fishopolis Operations. "Prologue" takes place in the basement of your parent's home on the night you get accepted into the Graduate School of Ancient and Prehistoric Studies (GSAPS), and the strange events that accumulate as your celebration progresses. Prologue contains roughly 16,000 words of text, which is about the length of short story and can be finished in a few hours. There are four possible game endings, based on how many of the in-game puzzles you can complete. Get it today at Google Play! Continue uncovering the mysteries of your past in Horror at Adesaw: Initiation, due to be released in 2019! Begin your first semester at Adesaw University, a world-renowned campus for its research into the occult and esoteric studies. As a first year student at the Graduate School for Ancient and Prehistoric Studies, you will find yourself quickly thrust into a world of mystery, intrigue, and horror that threatens your very sanity. You will have to band together with your fellow classmates to uncover a terrible tragedy that has occurred among the hallowed halls and yellow-brick pathways of your school. Introducing RPG elements such as classes and a full stat system, Initiation will be much grander in scale compared to Prologue. Please stay tuned to the weekly dev diaries to get more information on this upcoming release!